What can I say about Honour that hasn’t already been said. She’s a true gift to those who blog about the artistic and creative aspects of Second Life. 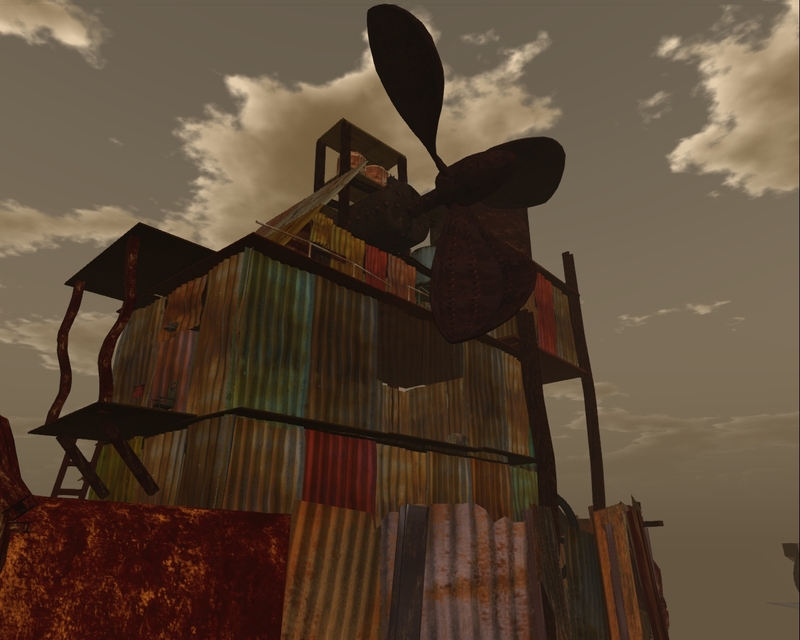 Honour, thank you so much for sharing your discovery’s via your blog of the main different ways the pattern landscape of Second Life can be represented in. There are many places on the grid that we all assume everybody else knows. Often “everybody” is limited in number and we forget. I made a quick trip this morning to what some of us consider an iconic sim, Rouge↑. This is the fabulous island that Eshi Otawara↑ terraformed and landscaped for CodeBastard (Codie) Redgrave↑ a few years ago. Home to the Rouge Lounge Gallery & Boutique. You may have seen photos of some of the memorable parties held on this island or seen some of the clever gadgets or other (often sensual) items that can be purchased. What you may not have seen is the very different landscape sitting thousands of meters in the air above that gloriously decadent region.